The film was launched last week at the school, with many of Rob’s relatives in the audience, followed by a talk on the Somme by military historian Sir Hew Strachan. It’s part of the school’s larger efforts to remember former pupils caught up in the First World War, including an exhibition in the chapel where the names of Rob, GB Smith, and many of their friends are recorded on the war memorial. I’m proud and honoured to have been able to help Rob’s voice reach across the years from that terrible time. I’ve made further use of his letters in a biographical sketch, ‘Robert Quilter Gilson, TCBS: A Brief Life in Letters’, published in Tolkien Studies 8 (2011) and available online for those with Project Muse access. It will also be available from next month (June 2016) in the proceedings of the Tolkien Society conference The Return of the Ring. From sound aesthetic to Finnegans Wake, a new book explores Tolkien’s relationship to language. Here’s my review for the New Statesman. Horsemen, barbaric yet noble, chant ­battle cries. Ridge-browed aliens do the same. Their words are harsh and guttural – as warlike as their weapons. Yet the Dothraki, from Game of Thrones, and the Klingons, from Star Trek, are also standard-bearers for an activity that is solitary, cerebral and painstaking: their languages are entirely made up. For the first time since the pre-1914 vogue for “international auxiliary languages” such as Esperanto, Dothraki has helped to make language invention cool. Unlike Esperanto, Dothraki and Klingon were not created as communication aids. You can read Hamlet in Klingon, but the language was devised solely to lend a space opera atmosphere and realism. As with Dothraki, its complex grammar and substantial lexicon are far less important than its distinctive, evocative sound. And “sound aesthetic” is central to the older inventions of J R R Tolkien, without whom neither Dothraki nor Klingon is likely to have been conceived. In The Lord of the Rings, we read elegies in Elvish (“Ai! Laurië lantar lassi súrinen . . .”), battle cries in Dwarvish (“Khazâd ai-mênu!”) and slander in Orkish (“Uglúk u bagronk sha pushdug Saruman-glob búbhosh skai”). 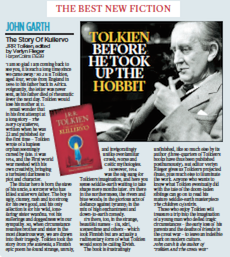 Here’s a short review of Tolkien’s The Story of Kullervo that I wrote for the Mail On Sunday when the book came out in September 2015. I reproduce it here, with permission, as the book becomes available in the USA, where I’m currently based as Fellow in Humanistic Studies at the Beverly Rogers, Carol C. Harter Black Mountain Institute, UNLV, Nevada. I’ve restored my original phrasing and made one factual correction. The newspaper headline was ‘Tolkien before he took up The Hobbit’. ‘I am so glad I am coming back to see you it is such a long time since we came away.’ So J R R Tolkien, aged four, wrote from England in 1896 to his father back in southern Africa. Poignantly, the letter was never posted, because his father died of rheumatic fever the very next day. Tolkien went on to lose his mother at 12. 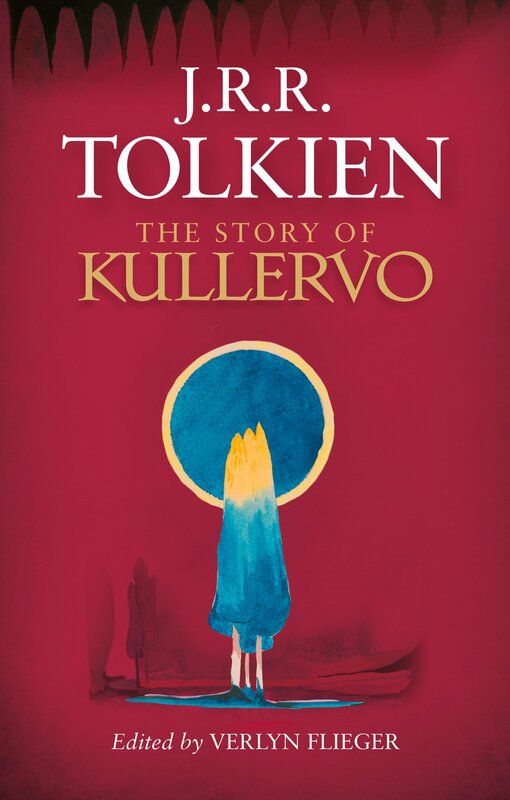 Small wonder, then, that in his first attempt at a long story – the Story of Kullervo, written at 22 – Tolkien wrote of a hapless orphan seemingly cursed by fate. It was 1914, and the First World War meshed with his own creative ferment, bringing a turbulent darkness to plot and character. The titular hero is born the slave of his uncle, a sorcerer who has killed Kullervo’s father. The boy is ugly, clumsy, rash and too strong for his own good, and his only affection is for his ‘wild, lone-faring’ sister Wanōna. Yet his sufferings and doggedness win our sympathy. And so, when tragic circumstance reunites brother and sister in the most disastrous way, we are drawn into the knot of tragedy. Tolkien took the story from the Kalevala, the Finnish national epic, which he found strange, unruly, and invigoratingly unlike the overfamiliar Greek, Norse and Celtic mythologies. However, 1914 was the Big Bang for Tolkien’s imagination, and in The Story of Kullervo you can just about sense Middle-earth waiting to take shape just months later. It’s there in the northernness, the rivers and blue woods; in the glorious acts of defiance against tyranny; in the mix of high enchantment and epic with down-to-earth comedy. It’s there in the strange, beautiful names – Ilu, Sāri, Kemenūme and others – which look Finnish but are actually a rudimentary form of what Tolkien was soon calling Elvish. The Story of Kullervo is frustratingly unfinished, like so much else by its author (about three quarters of whose books have therefore been published posthumously). But editor Verlyn Flieger gives us Tolkien’s projected finale, plus much else to illuminate the work. And anyone who wants to know what Tolkien eventually did with the tale of the doom-laden siblings can go on to read his mature Middle-earth masterpiece The Children of Húrin. Those who enjoy Tolkien will treasure this excursion into the imagination of a young man who defied his own tragic circumstance – the early loss of parents and the deaths of friends in the Great War – to leave an indelible mark on modern culture. 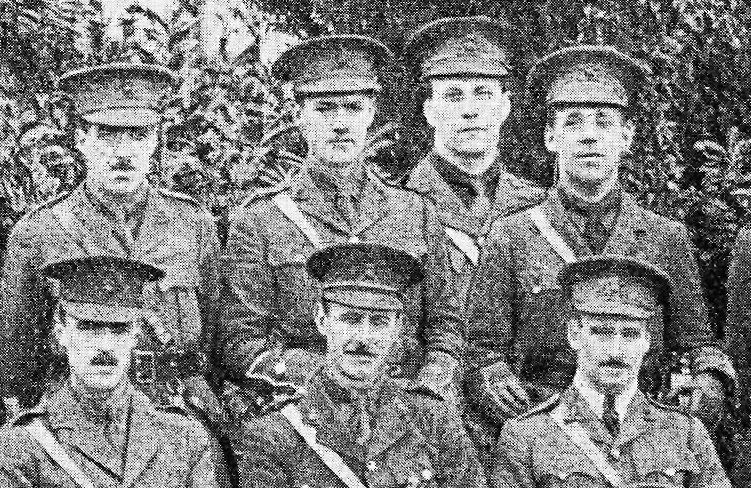 One hundred years ago today, four young men convened in an English town, not having seen each other for some time. What makes this trivial event significant is that one of them was J R R Tolkien, and the four comprised his first ‘fellowship’, the TCBS – a group with a profound impact on his youth and on his legendarium. This reunion, on 25 and 26 September 1915, was the last time the four met before they were separated, permanently, by war. we have immersed ourselves in an eighteenth century atmosphere — Bath does it of its own accord — and conducted most of our conversation in Johnsonian and Gibbonian periods. GB Smith composes excellent Gibbon. He is at present reading Amelia and revelling in it. I very quickly catch his enthusiasm for that extraordinary century. It really did know how to build private houses. As well as their addresses – Marston Green near Birmingham for Gilson and Corpus Christi College, Oxford, for Smith – they append ‘T.C.B.S.’ to their names. It is a poignant sign of the value they placed in their fellowship. The friendships had been formed at King Edward’s School, Birmingham, coalescing in 1911 into a kind of secret society that brewed clandestine teas in the library office, where Tolkien was in charge. They would also meet in the tea rooms of Barrow’s Stores. So they had called themselves the Tea Club and Barrovian Society, eventually just the ‘TCBS’. Though its members had dominated school cultural life – the debating and literary societies, and so forth – the youthful TCBS had been at least as much about drollery and japes. When Tolkien left for Oxford University, he formed another club there, the Apolausticks, in a similar vein; but the TCBS continued to meet. Under the shadow of war, from 1914 the TCBS had acquired a powerful sense of itself as a serious force, as I tell in Tolkien and the Great War. It had halved its numbers to just four – Tolkien, Gilson, Smith and Christopher Luke Wiseman, who had sealed their bond with a December 1914 meeting dubbed ‘the Council of London’. They were all four exceptional young men, and they were rapidly forming the idea that somehow they could change the world for the better through art and writing. For Tolkien, who had just been making his first steps at serious creative writing (see my articles here and here), the Council of London changed everything. Steps became strides, and 1915 had seen him laying the foundations of Middle-earth in poems and an invented ‘Elvish’ language. He wrote to Smith later, ‘That Council was as you know followed in my own case with my finding a voice for all kinds of pent up things and a tremendous opening up of everything for me:— I have always laid that to the credit of the inspiration that even a few hours with the four always brought to all of us.’ He shared his early poems with the TCBS, and it is quite clear they had a deep though indefinable influence on aspects of his Middle-earth writings. Tolkien now sent him a second sheaf of his poems and Gilson, feeling revivified by the TCBSian spirit, promised to criticise them. Abruptly he had learned he was about to be released from hospital, and was going on leave…. He determined to visit Tolkien at Lichfield, and sent telegrams summoning Smith and Wiseman as well. ‘At times like this when I am alive to it, it is so obvious that the TCBS is one of the deepest things in my life,’ he told Tolkien, ‘and I can hardly understand how I can be content to let slip so many opportunities.’ Wiseman came up from Greenwich, where he had begun his navigation course, and Smith travelled from Salisbury Plain, where the Salford Pals [his battalion, the 19th Lancashire Fusiliers] were now encamped. Arriving first, Smith and Gilson — now no longer the comfortably rounded figure of school and college days — visited the cathedral and the birthplace of Dr Johnson. Tolkien joined them, and finally Wiseman, and the four stayed at the George Hotel for an evening of ‘that delightful and valued conversation which ever illumines a council of the TCBS’, as Smith put it. The four were assembled for the last time. It was Saturday 25 September. In northern France, in a foretaste of the battle which lay in store for three of the TCBS, the British army at Loos (including the first Kitchener volunteers) launched an assault so disastrous that, as the attackers turned to retreat, the German machine gunners who had mowed down eight thousand men ceased firing, finally overcome with pity. Two of Tolkien’s friends from Exeter College’s Apolausticks – Max Windle (Michael William Maxwell Windle) and Osric Staples – died on 25 September 1915 at Loos. It was a harbinger of the losses that lay ahead for the TCBS itself. Rob Gilson was killed on the first day of the Battle of the Somme, 1 July 1916. G B Smith, a poet who perhaps shared Tolkien’s youthful vision most closely, died on 3 December 1916 of wounds sustained from a shell burst three days before. He was several miles behind the Somme front line, organising a football match for his men. … the death of one of its members cannot, I am determined, dissolve the TCBS.… Death can make us loathsome and helpless as individuals, but it cannot put an end to the immortal four! Smith’s and Gilson’s signatures were found by Joanne Wilson of the Samuel Johnson Birthplace Museum after an enquiry by Marty Smith of the Ridware History Society, who had heard about the ‘Council of Lichfield’ in a talk by David Robbie, an expert on Tolkien’s time in Staffordshire. It is intended that the visitor book will go on display in an exhibition about Tolkien in Staffordshire being planned by the Haywood Society, the Staffordshire Library Service and the Museum of Cannock Chase for next year. I can’t account for the date ‘24th’ next to signatures: it’s perfectly clear from their correspondence that Smith and Gilson arrived on 25 September and visited the Johnson birthplace that day. The entry stands as a quiet testimony to a bond of fellowship that underpinned the beginnings of Tolkien’s Middle-earth – and to two young men who did not survive to see his work reach fruition. I’d like to thank David Robbie for alerting me to the guestbook entries; the Samuel Johnson Birthplace Trust for allowing me to reproduce them; and Julia Margretts for permission to use the Gilson photograph. I’d also like to thank the members of the Tolkien Society who voted this Best Article in their 2016 awards. It comes after another article of mine, ‘Tolkien and the Boy who didn’t Believe in Fairies’, was named Best Article in the Tolkien Society Awards 2014. The official death figures for the First World War, though incomprehensibly vast in themselves, fall well short of the full tally of fatalities, and give the barest indication of the suffering of soldiers and their loved ones. Today that is borne out anew by a small tangent in the story of Tolkien’s school clique, the T.C.B.S. I’ve previously described the remarkable chain of events that led to my discovery of missing issues of the Hydra, the journal put together during the First World War by soldiers being treated for shell shock at Craiglockhart Military Hospital. It’s famous now because war poet Wilfred Owen edited it and because the journal also carried poems by his friend Siegfried Sassoon. 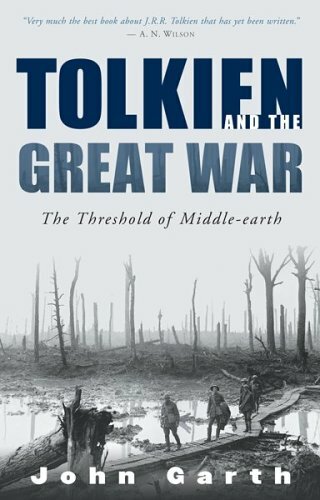 I’d been led to it in the course of my research into Tolkien and the T.C.B.S., about whom Tolkien and the Great War has much to say. 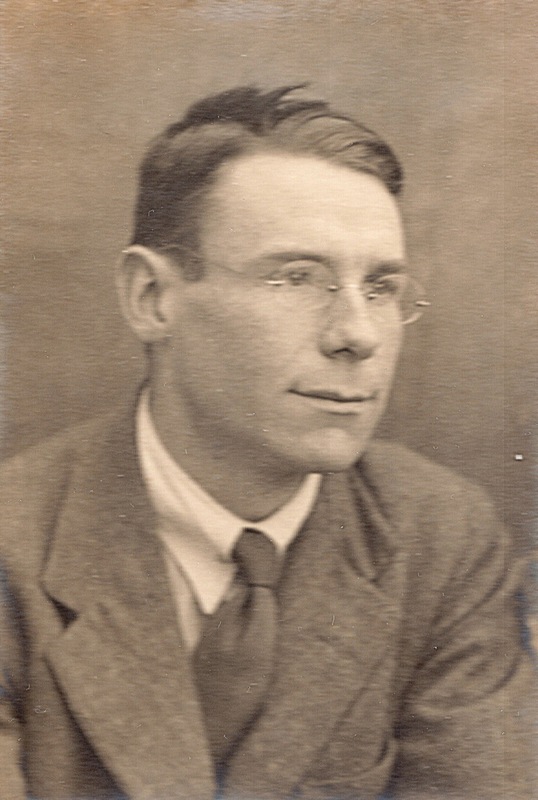 The copies I found had belonged to another figure from Tolkien’s school who hovered on the edge of the group, George Henry Bonner (1895–1929) – a writer who also edited the Hydra but who never found real fame. You can read my original blog post here. What I did not mention in that piece, because his son Austin asked me not to, was the nature of Bonner’s death. Since then, Austin himself has passed away: he died on 5 February 2015, aged 89, at Oxford’s John Radcliffe Hospital, after a short illness. Some brief impression of a life of essential scholarly service at the Bodleian Library can be gleaned from Austin’s obituary at the website of Oxford Today (it’s about halfway down the page). He was also involved in the Fintry Trust, an educational charity, and closely linked with All Saints’ Church in Headington, Oxford. Not the least of his good works was the donation, initially anonymously, of his father’s papers to the archives of Magdalen College, Oxford, where both the Bonners had studied; and of copies of the Hydra to the archives of Craiglockhart held at Edinburgh Napier University. I have since been contacted by archivist Liz Palmer from Birmingham Library, who has been working with records of the 1929 inquest into George Bonner’s death. With the permission of Austin’s executor, she has prepared an account which gives the final, terribly sad details of how the trenches haunted George Bonner, and led in the end to his suicide. It’s easy to speculate on Austin Bonner’s motives for preferring not to publicise the cause of his father’s death. I hope he was spared the full details as revealed in the inquest held when he was just three years old. Yet whatever a dutiful son felt, it now seems right that the full story should be told. Otherwise we will seriously underestimate the gravity and awful tenacity of the condition that took George Bonner to Craiglockhart — an underestimate all too easy to make on a casual reading of the Hydra, in which the horror of the war is almost wholly suppressed or sublimated. And so we would miss how George’s story adds to the bigger picture, still so relevant today: the legacy of war trauma. His son suffered from that legacy too, in the loss of a father at the age of four, and doubtless in the struggle to come to terms with it. So, clearly, did George’s mother, who testified at the inquest, and his wife Eleanor, née Ford. There’s one additional facet to the Bonners’ story which appears neither in my article nor in Liz Palmer’s. I did mention that Austin Bonner was named after an uncle — George’s younger brother, who was in the Royal Flying Corps and was killed in 1917 over France. But the younger Austin also had a middle name, Ralph. That was given in memory of Ralph Payton, who makes more than a passing appearance in Tolkien and the Great War: nicknamed by his friends ‘the Baby’ as the younger of two Payton brothers who belonged to the T.C.B.S., Ralph was killed in 1916 with the 14th Royal Warwickshires (also known as the 1st Birmingham Battalion) in a night assault on high ground between High Wood and Delville Wood on the Somme. Ralph Payton had been engaged to marry Eleanor Ford, her son told me. In his naming, Austin Ralph Bonner was doubly marked by the war’s tragedy and by his parents’ loss. Liz Palmer’s research, which throws light not only on George Bonner’s death but also on his happier days, can be read here. A piece of fan art illustrating the relative size of Tolkien’s dragons raises a far more interesting issue than how big was Smaug or Glaurung or Ancalagon the Black. It’s an issue that should give pause for thought in any attempt to treat Tolkien’s legendarium as a piece of history, and especially in any attempt to depict it visually – whether in illustrations or movies. The artist has ranged Middle-earth’s dragons in order of size, from Smaug (merely huge) to Ancalagon (truly gargantuan, even in the Godzilla order of things). The justification for this is provided here – the sizes depicted are inferred from Tolkien’s descriptions and from his artwork. Key points are the size of Glaurung (or Glorund as Tolkien called him at the time) relative to the background of Nargothrond in the illustration ‘Glorund sets forth to seek Túrin’ (Wayne Hammond and Christina Scull, J.R.R. Tolkien: Artist and Illustrator, p. 59); the size of Smaug relative to Bilbo in ‘Conversation with Smaug’ (The Hobbit); and this passage in The Silmarillion: ‘Before the rising of the sun Eärendil slew Ancalagon the Black, the mightiest of the dragon-host, and cast him from the sky; and he fell upon the towers of Thangorodrim, and they were broken in his ruin.’ The size of Thangorodrim, the mountain above the stronghold of the primal dark lord Morgoth, is based on Tolkien’s drawing ‘The Vale of Sirion’ (Artist and Illustrator, p. 59) and Karen Wyn Fonstad’s observation in her Atlas of Middle-earth (Houghton Mifflin, p. 22 in the 1991 edition) that it suggests a mountain 35,000 feet in height. Ergo, Ancalagon would have to be very, very big to ‘break’ Thangorodrim. The art is evocative and impressive, and I certainly don’t mean to diminish the visual skills of its creator, who calls herself Hæddre – let alone impugn her passion for the topic. And it’s clear that many, many Tolkien fans have a thirst both for ‘facts’ about Middle-earth and convincing pictures of its multifarious creatures, places and things. This is clear just from Hæddre’s own post carrying her dragon chart, which has been liked, shared or commented upon more than 116,000 times as I write. However, there’s a major flaw in the suppositions behind the dragon chart. Tolkien’s pictures cannot be taken as empirical evidence. They are heavily stylized, as befits a story with medieval or legendary/fairy-tale overtones. So, frequently, are his Middle-earth writings. Tolkien admitted that his Bilbo in ‘Conversation with Smaug’ is not depicted to scale. ‘The hobbit in the picture of the gold-hoard, Chapter XII, is of course (apart from being fat in the wrong places) enormously too large. But (as my children, at any rate, understand) he is really in a separate picture or “plane” – being invisible to the dragon’ (The Letters of J.R.R. Tolkien, no. 27, c. March/April 1938, to Houghton Mifflin, the American publishers of The Hobbit). It’s clear that the picture ‘Glorund sets forth to seek Túrin’ is even less likely to represent actual proportions: it is explicitly medieval in style, where ‘Conversation with Smaug’ has more in common with the classic children’s book illustration of the late 19th and early 20th century – Arthur Rackham, Edmund Dulac, and so on. 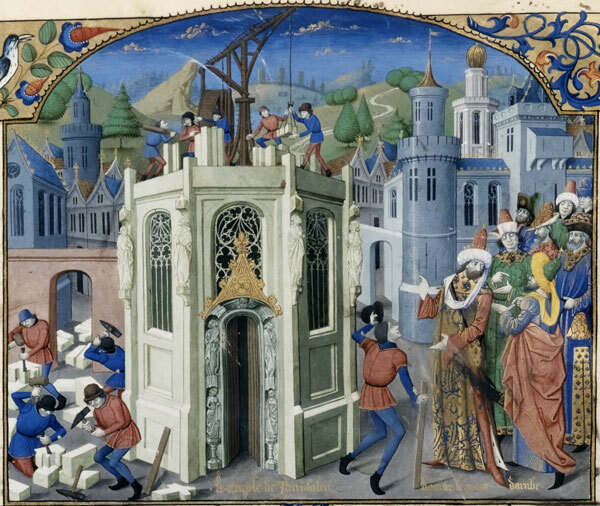 If we were to take actual medieval pictures as evidence for what life was like in the Middle Ages, we might have to assume that people were giants in those days. In a conversation about this on the Tolkien Society Facebook page, Deborah Sabo picks up on the line about Ancalagon ‘breaking’ Thangorodim, and rightly points at that we should be wary of trying to mine Tolkien’s prose (and poetic) fiction for empirical evidence. It could be ‘poetic diction in a mythic style’, she observes, and the phrase might simply mean ‘breaking the mountainsides’. Tolkien was a masterful mixer of the modern and the medieval. At certain points (particularly in many of the descriptions of landscapes traversed in The Lord of the Rings) he is using modern-day realism to create an air of verisimilitude. This is what allows so many of us to feel as if we are reading about something that really happened, or that we are making the journey ourselves. But at other points Tolkien uses profoundly figurative language – particularly when describing distant events in semi-legendary past. It’s quite right that Ancalagon’s fall should be told this way. This mixing of medieval and modern styles matches the fact that his hobbits are much like people of the recent past (the past of Tolkien’s rural English childhood) yet venture out into an older world of legend and saga. It’s one of the elements that helps create the tremendous sense of deep perspectives in Tolkien’s legendarium, like a landscape in which the foreground is crystal clear but the distances blur into mist. In a sense, therefore, exercises like this chart of dragon sizes are misconceived. And so are the segments of Fonstad’s Atlas devoted to the First and Second Ages, where the evidence is almost all in the mode of medieval chronicle. It’s a problem which also bedevils the depiction of Middle-earth in Peter Jackson’s screen adaptations. It is with marvellous economy that Tolkien’s writing conveys a sense of grandeur and scale; but in order to achieve a similar effect Jackson’s movies, locked into a photorealistic mode, only have recourse to making things really, really big. Barad-dûr is a prime example: unfeasibly tall. While I admire the art of Alan Lee and John Howe, which underpins the films, and while I also admire the art of Ted Nasmith and others who paint or draw in a similarly realist mode, I’m not always convinced this the best possible way to illustrate the more mythic elements of Middle-earth. By contrast, Pauline Baynes’s Barad-dûr may be unfeasibly massive, but everything in her picture of Mordor (used on the cover of various 1960s and 1970s editions of The Lord of the Rings) is unrealistic, and wonderful. 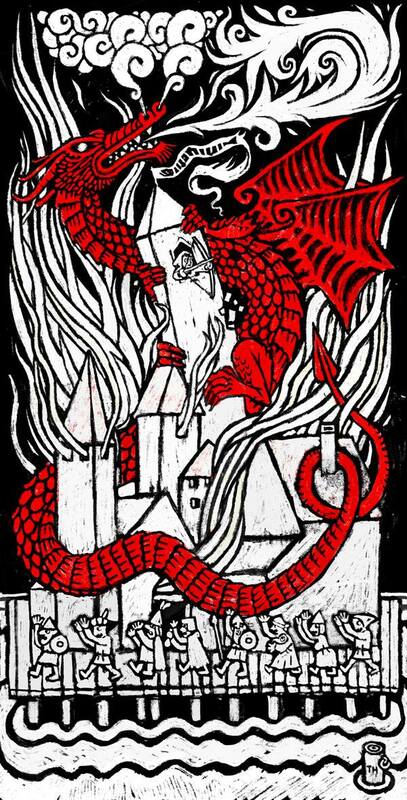 Likewise Tómas Hijo’s Smaug cannot be taken as a guide to the dragon’s ‘actual’ size, no more than Hijo’s people can; he’s drawing with a medieval artist’s freedom and panache. On the other hand, it is inevitable that we should want to see more clearly into the misty distances – in fact, that’s exactly the sense of yearning that Tolkien aimed to instil. He wrote to his son Christopher (Letters no. 96, 30 January 1945: ‘I think you are moved by [the name] Celebrimbor because it conveys a sudden sense of endless untold stories: mountains seen far away, never to be climbed, distant trees (like Niggle’s) never to be approached – or if so only to become ‘near trees’ (unless in Paradise or N’s Parish).’ This was an emotion, he said, ‘that moves me supremely and I find small difficulty in evoking: the heart-racking sense of the vanished past’. The dragon soars overhead, its underside armoured with gems from its hoard. The bowman has one arrow left. Then a bird flutters to his ear and whispers the monster’s sole vulnerability – a bare patch at its breast. The last arrow strikes home. Exit Smaug the Magnificent. It is 100 years since Middle-earth began. The earliest glimpse of any character or situation from his mythology was in a poem, ‘The Voyage of Éarendel the Evening Star’, which J.R.R. Tolkien dated 24 September 1914. He wrote it at the home of his aunt Jane Neave, Phoenix Farm in Gedling, Nottinghamshire. I examine Tolkien’s 1914 creative breakthrough closely in the forthcoming Tolkien Studies 11, I give a brief account of those findings in a centenary article for the Guardian, and I star in a Tolkien Society video speaking about it all to at the annual Oxonmoot gathering. What follows here is a further insight which didn’t make it into those pieces. A century on, it’s worth probing whether this poem really counts as the first poem of Tolkien’s legendarium. Though Humphrey Carpenter identifies ‘The Voyage of Éarendel’ as ‘the beginning of Tolkien’s own mythology’ (Biography 79), Tolkien himself did not do so explicitly. And there are still vital ingredients missing from it. ‘The Voyage of Éarendel the Evening Star’ has a basic connection with the later story of Eärendil – the idea of a mariner who sails over the brink of the world and becomes the Evening Star Venus. But the September 1914 Éarendel lacks all clear motive for his voyage, lacks a history of any sort, lacks a Silmaril, and even lacks an Elvish name – the name Éarendel is straight out of Anglo-Saxon. And Tolkien actually gave the label ‘the first poem of the mythology’ to one written ten months later, July 1915’s ‘The Shores of Faery’ (The Book of Lost Tales, part two, 271), which has enduring Middle-earth elements such as the Two Trees, but also has names such as Valinor and Taniquetil in his invented languages – the genuine hallmark of his legendarium. However, there is evidence that he did indeed see the writing of ‘The Voyage of Éarendel the Evening Star’ as the breakthrough moment. I’d like to claim credit for detective work here – but in fact it was all down to my mother, though she has never read Tolkien. In his 1977 J.R.R. Tolkien: A Biography (72), Carpenter puts these fictional words in Tolkien’s own mouth – a sleight of hand, but not an outrageous one. After all, Tolkien is plainly putting his own memory into the head of Alwin Arundel Lowdham. He’s also doing some pretty obvious signposting with those names. I don’t need to explain Arundel – it’s the name of a real town in Sussex, but its purpose in ‘The Notion Club Papers’ is to remind us of the names Éarendel and Eärendil. Alwin is a version of Old English Ælfwine, which means ‘elf-friend’ and therefore connects this character with the elf-friends in Tolkien’s legendarium – notably the mariner Ælfwine who hears and records the Lost Tales of the Elves. But what about the surname Lowdham? Christopher Tolkien notes (Sauron Defeated 151) that ‘The fact that Lowdham is “loud” and makes jokes often at inappropriate moments derives from [Hugo] Dyson’ – the Inkling who famously kiboshed readings of The Lord of the Rings by complaining ‘Oh God, not another Elf!’ And indeed one manuscript has Dyson’s initials next to the name. But as Christopher observes: ‘Lowdham is the very antithesis of Dyson in his learning and interests.’ In fact, the character voicing J.R.R. Tolkien’s memory of discovering the name Éarendel is more like an alter ego of the author himself. Here my mother comes in. I happened to be showing her a map of the area just east of Nottingham. This is the location of the village of Gedling where Tolkien was staying when he wrote ‘The Voyage of Éarendel the Evening Star’. Rather randomly, my mother read out the name of a neighbouring village, Lowdham. L-O-W-D-H-A-M: the distinctive spelling matches the character’s surname, though no one seems to have made the connection between the two until now. 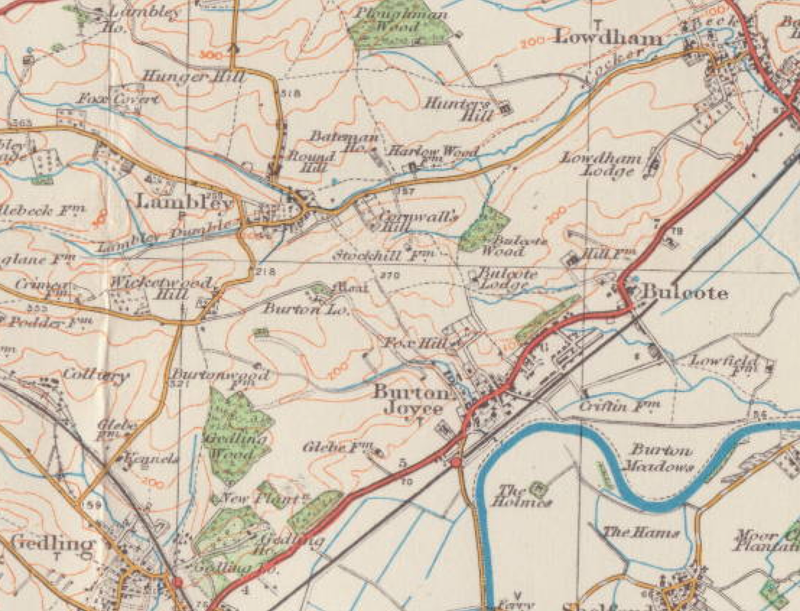 I’m told by Andrew H. Morton, author of the excellent focused study Tolkien’s Gedling 1914, that the village of Lowdham would have been a pleasant spot, just the right distance for a Sunday walk from Gedling. So Lowdham of the Notion Club not only speaks Tolkien’s memory of the 1914 Éarendel discovery, but is named for the immediate area of the poem’s composition. It’s also worth noting that on the fake title page Tolkien drew for ‘The Notion Club Papers’ (Sauron Defeated 154), the date of publication is 2014. Surely here he was thinking consciously, as we are now, of the centenary of Middle-earth, and identifying its beginning as the poem he wrote on 24 September 1914. The light of Éarendel shines throughout the external history of Middle-earth as surely as it shines through the internal history, going from the Two Trees all the way to Frodo’s star glass. 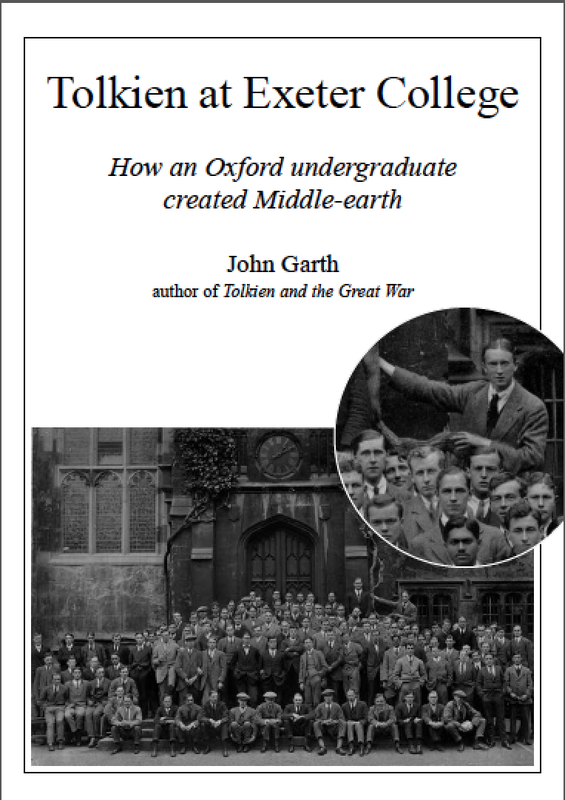 My new booklet Tolkien at Exeter College: How an Oxford undergraduate invented Middle-earth is now available via my website. With 64 pages and more than 40 images, including previously unseen original sketches by and photographs of Tolkien, it incorporates extensive new research to add significantly to the account I give in Tolkien and the Great War. 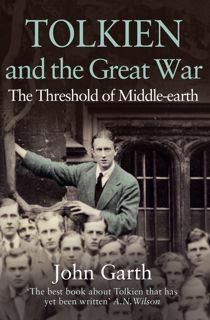 I write much more about Tolkien’s 1914 creative breakthrough in my article ‘“The road from adaptation to invention”: How Tolkien came to the brink of Middle-earth in 1914’, due out imminently in Tolkien Studies 11. 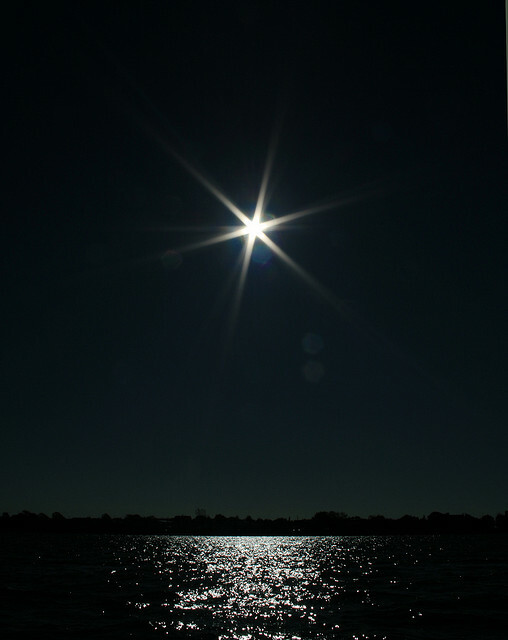 Image: Diamond in the Sky, by Dr Wendy Longo via Flickr. Map: Ordnance Survey Popular One-inch Series, via Sabre. The international children’s laureate of disaster and displacement, Tove Jansson, was born one hundred years ago, on August 9, 1914, just as Europe was going to war. 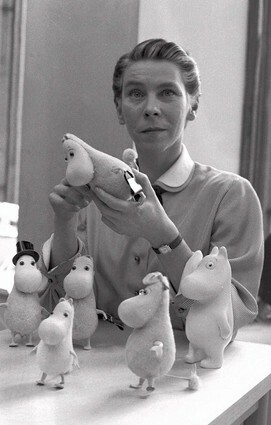 She is most famous for creating the Moomins, a family of hospitable and adventuresome trolls who vaguely resemble tubby two-legged hippos. Today, there is a thriving Moomin-industry around them: a theme park, a museum, a movie is on its way. It’s sixty years since the publication of J.R.R. 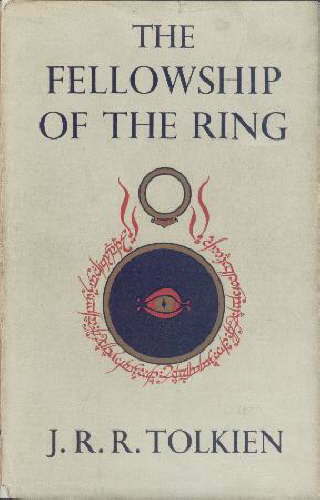 Tolkien’s first volume of The Lord of The Rings. 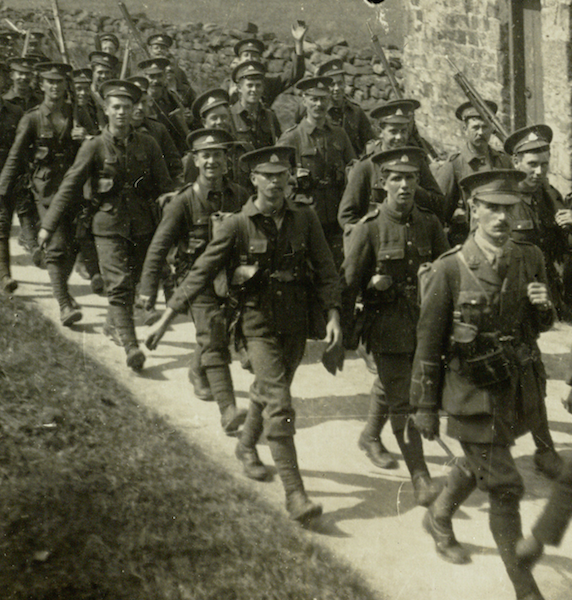 Why was he so inspired by the Great War—and a group of schoolfriends? This post is also available in Portuguese at the Tolkien Brasil website. 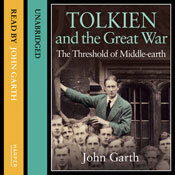 Read the definitive account in my acclaimed book Tolkien and the Great War.